Gomes’ Pipe World Tour has taken him to places such as the Australian Outback, Vietnamese jungles and Moroccan deserts. Last year, he spent 10 days embedded with the primitive Aiha Kalapalo tribe deep in the heart of the Amazon. 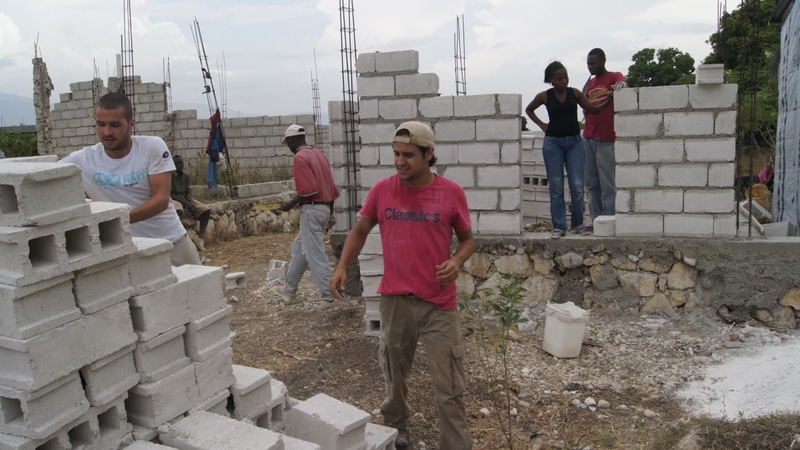 And, now, he is in Haiti working with The Fuller Center for Housing’s Mike Bonderer, helping build a house for a family in the eastern Port-au-Prince suburb of Croix-des-Bouquets. As if that’s not enough cultures meshing at once, the house they worked on in Haiti was funded by a $3,000 tithe from Fuller Center Armenia. Gomes insists that the Haitians provide him more than he can give them, but he says that is a familiar theme in poverty-stricken areas he has visited. “We are building a very inexpensive house that falls around the $3,500 range,” he said. “Usually, it’s about 16-by-16 depending on the lot size that the people own. It’s just a basic house. It’s kind of what we were talking about when we first had the earthquake in Haiti. The recipients of these homes really like them, but they’re not fancy. But they’re shelter and a secure house for people to live in. That’s what we originally promised, and that’s what we are doing. To "Send money! ", click here to donate to The Fuller Center for Housing. To "Just show up!" click here to see upcoming Global Builders trips or learn how to start one. Read more about the colorful Michael Bonderer. View more photos from the trip on the Fuller Center Global Builders Facebook page. Great issue. It´s just wonderful to see what these young guys are doing, and also having a close look at the haitians reality help us to understand how is important to love our next, no matter who and where they are. Very inspiring and laudable this experince!! !